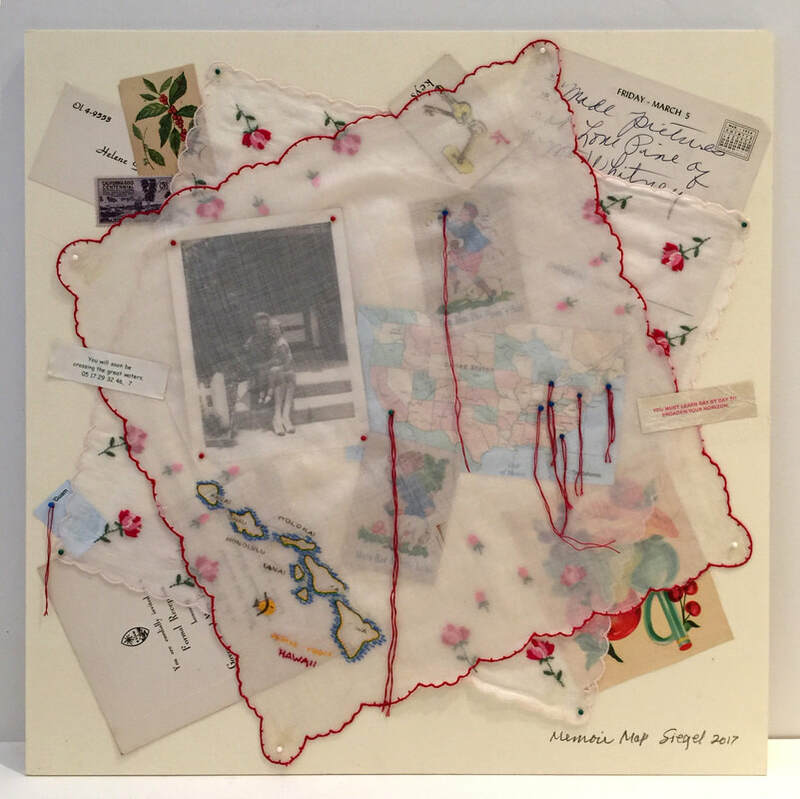 Suzanne Siegel is an assemblage artist living in Los Angeles. She works with found images, creating feminist narratives. Her interest is in transforming everyday objects into poetic statements. with ten moves in two decades. reverses stitched in red embroidery thread. like dropped stones, discarded on the sidewalk.